Cool tees to chill out in. Boys~ short-sleeve t-shirt in tri-blend jersey. 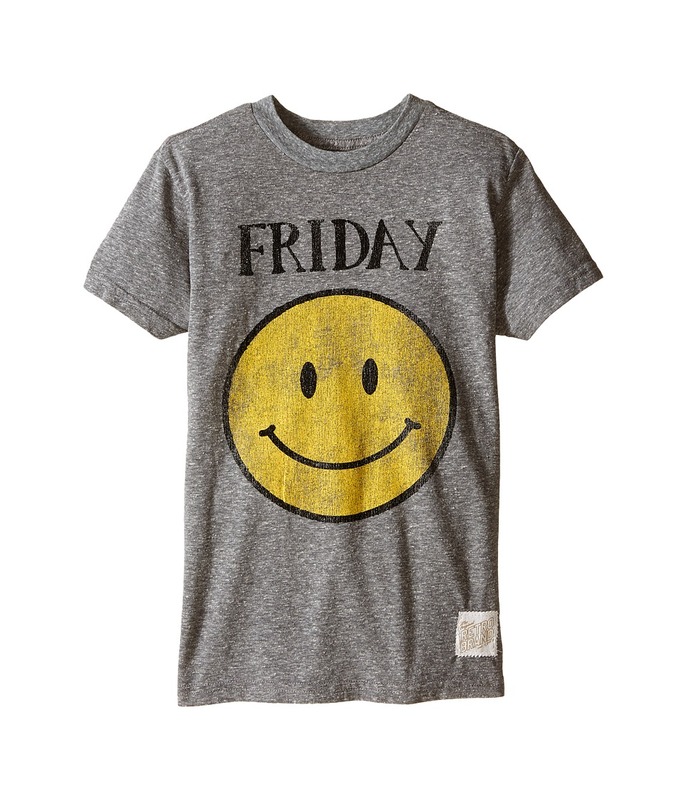 Vintage smiley face graphic on front. Ribbed crew neckline. Brand patch at front hem. 50 percent polyester, 38 percent cotton, 12 percent rayon. Machine wash cold, tumble dry low. Made in the U.S.A. and Imported. Measurements: Length: 23 in Product measurements were taken using size LG Big Kids. Please note that measurements may vary by size. Girls~ burnout tee in a lightweight cotton-poly jersey. Anchor graphic at front. Relaxed fit. Round neckline with crisscross stitching at center. Long sleeve construction. Pullover design. Ribbed banding at cuffs and hem. 50 percent cotton, 50 percent polyester. Machine wash cold, tumble dry low. Made in the U.S.A. and Imported. Measurements: Length: 21 1 2 in Product measurements were taken using size LG (Big Kids). Please note that measurements may vary by size. 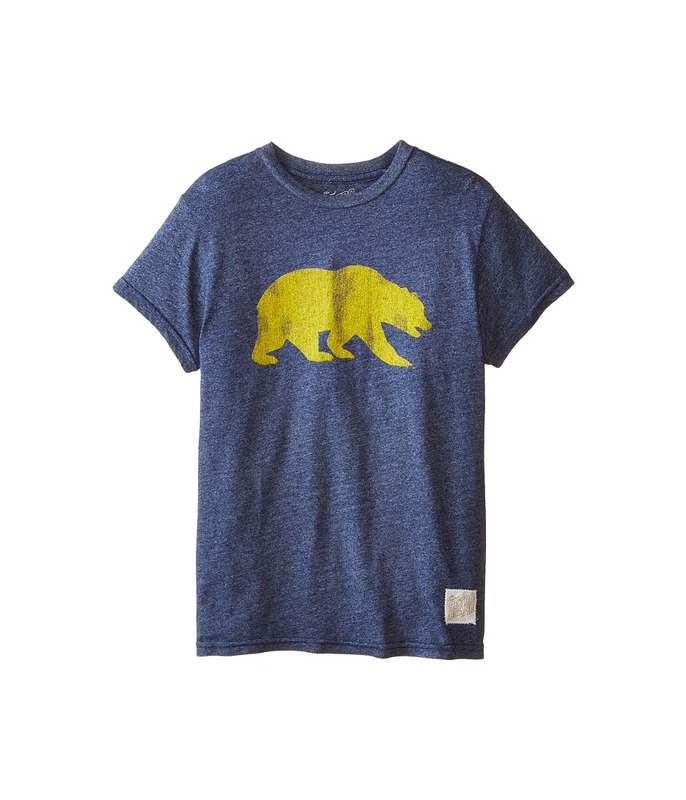 Show your Cal Bears pride with this awesome retro tee! Boys~ short-sleeve tee in a tri-blend jersey knit. Cal Bears graphic at front. Ribbed crew neckline. Brand patch at front hem. 50 percent polyester, 38 percent cotton, 12 percent rayon. Machine wash cold, tumble dry low. Made in the U.S.A. and Imported. Measurements: Length: 25 in Product measurements were taken using size LG Big Kids. Please note that measurements may vary by size. 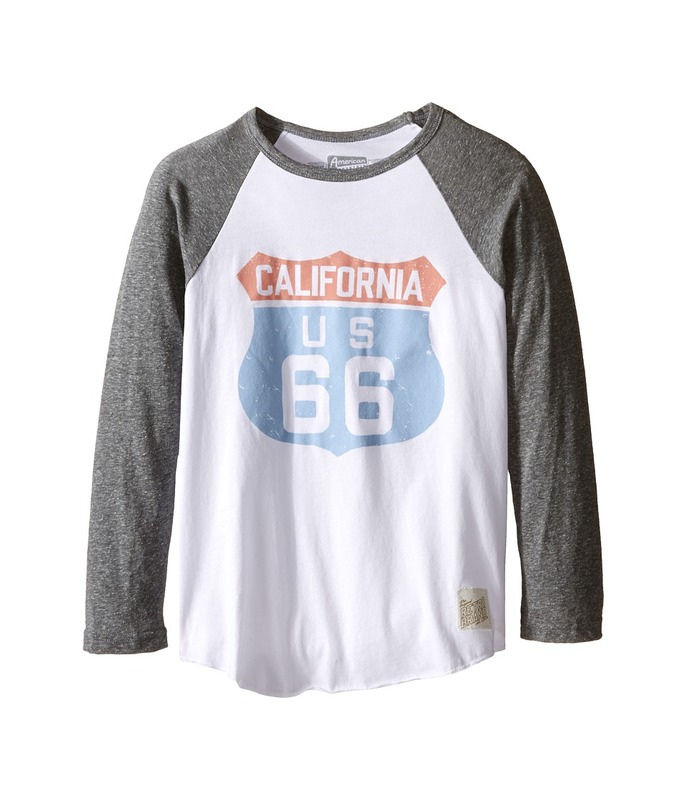 A cool, casual tee to show your California pride. Boys~ long-sleeve baseball tee in a super soft cotton knit. California interstate graphic on front. Ringer crew neckline. Contrast raglan sleeves. Curved hem. Brand patch at front hem. 100 percent cotton. Machine wash cold, tumble dry low. Made in the U.S.A. and Imported. Measurements: Length: 24 1 4 in Product measurements were taken using size LG Big Kids. Please note that measurements may vary by size. Show your Cali pride in this super cool tee. Boys~ T-shirt in a supersoft, heathered tri-blend jersey knit. 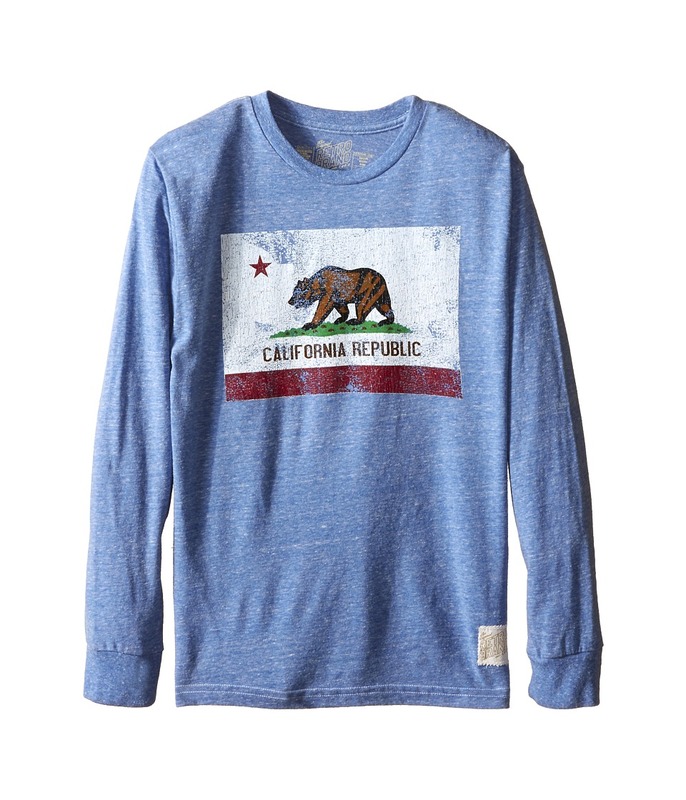 Distressed California Republic print across the front. Rib-knit crew neck. Long sleeves. Rib-knit cuffs. Straight hem. Woven logo patch at the left hip. 50 percent polyester, 38 percent cotton, 12 percent rayon. Machine wash cold, tumble dry low. Made in the U.S.A. and Imported. Measurements: Length: 24 1 2 in Chest Measurement: 17 1 2 in Sleeve Length: 22 1 2 in Product measurements were taken using size LG Big Kids. Please note that measurements may vary by size. Show your love for sports in this awesome tee! Boys~ T-shirt in a supersoft, heathered tri-blend jersey knit. 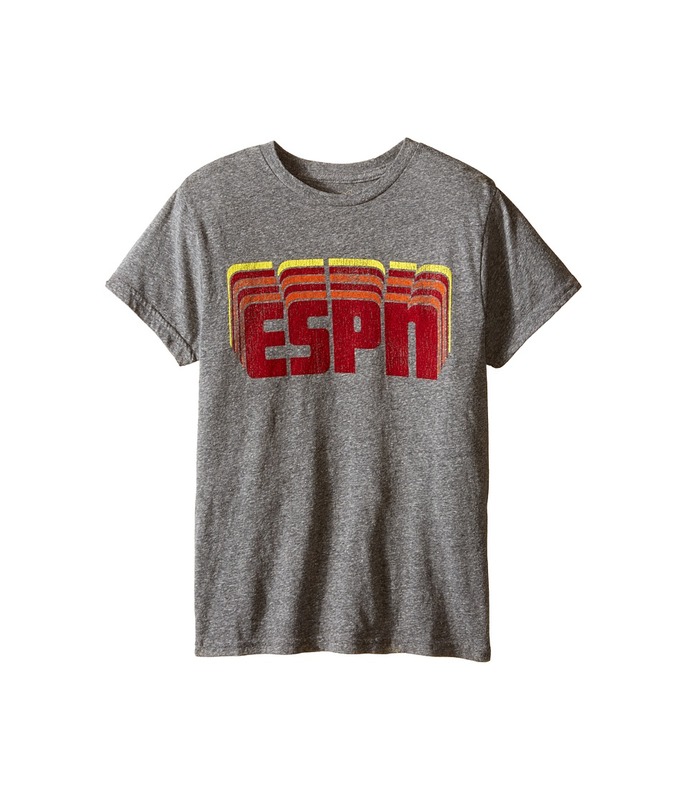 ESPN print across the front. Ribbed crew neck. Short sleeves. Printed neck tag for added comfort. Straight hem. 50 percent polyester, 38 percent cotton, 12 percent rayon. Machine wash cold, tumble dry low. Made in the U.S.A. and Imported. Measurements: Length: 23 1 4 in Product measurements were taken using size XL (Big Kids). Please note that measurements may vary by size. Represent the city city you love! 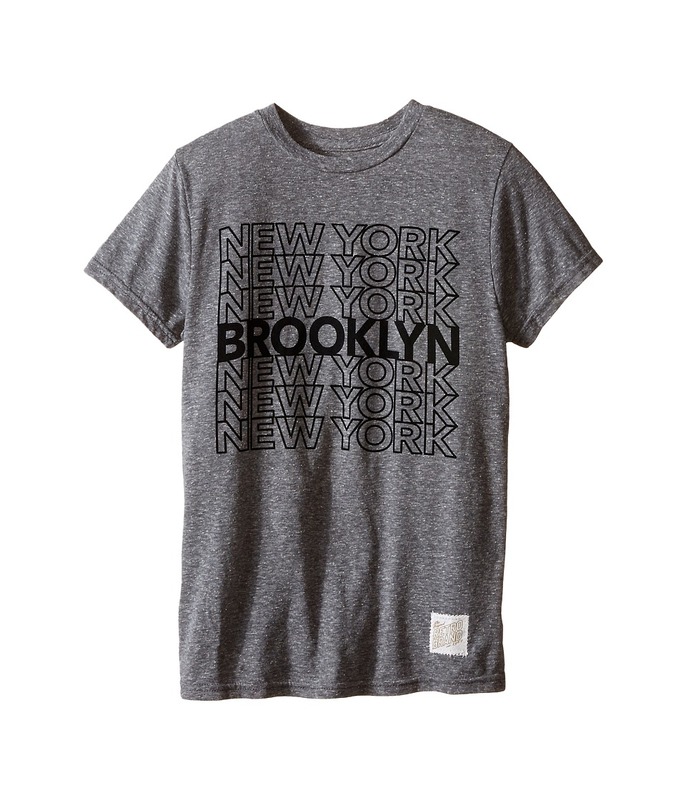 Superbly soft boy~s tri-blend tee flaunts a Brooklyn, New York graphic at front. Crew neckline. Short sleeve construction. Pullover design. Printed neck tag for added comfort. Brand logo tag displayed at left hem. Straight hemline. 50 percent polyester, 38 percent cotton, 12 percent rayon. Machine wash warm, tumble dry low. Imported. Measurements: Length: 24 1 2 in Product measurements were taken using size XL (Big Kids). Please note that measurements may vary by size. Assemble the perfect outfit to make this a victorious day. Boys~ short-sleeve t-shirt in heathered tri-blend jersey fabrication. Captain America graphic at front. Ribbed crew neckline. Brand patch at front hem. 50 percent polyester, 38 percent cotton, 12 percent rayon. Machine wash cold, tumble dry low. Made in the U.S.A. and Imported. Measurements: Length: 25 in Product measurements were taken using size XL (Big Kids). Please note that measurements may vary by size. Moms love me. I~m polite, I~m smart, and I~m Jawsome. Boys~ tee is crafted from a soft tri-blend jersey. Rib crew neck and short sleeves. Rad vintage graphic at front for a worn-in look. Branded woven label at left hem. Straight hemline. 50 percent polyester, 38 percent cotton, 12 percent rayon. Machine wash cold, tumble dry low. Made in the U.S.A. and Imported. Measurements: Length: 19 in Product measurements were taken using size 7 Big Kids. Please note that measurements may vary by size. Cool tees to chill out in. Boys~ short-sleeve t-shirt in dual-blend jersey. 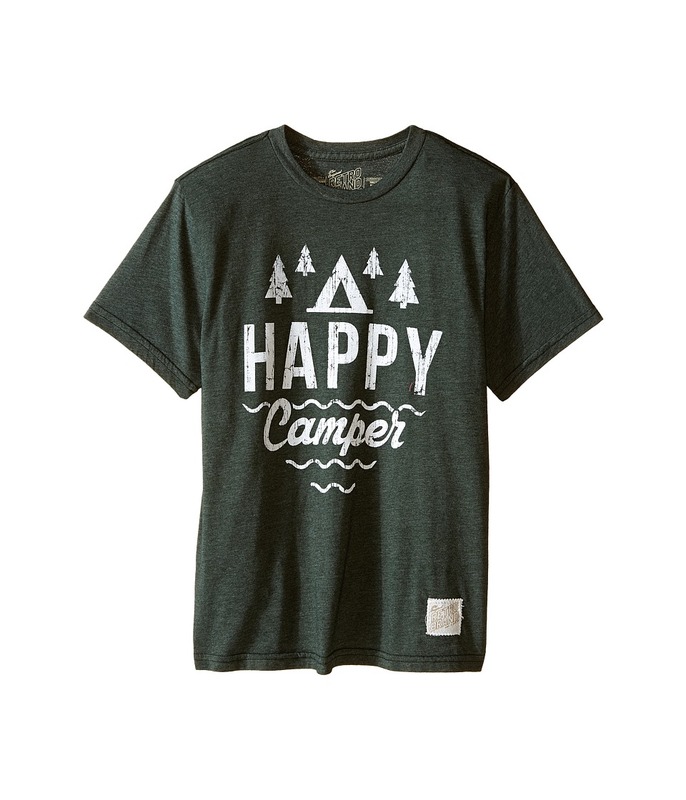 Happy Camper graphic on front. Ribbed crew neckline. Brand patch at front hem. 50 percent polyester, 50 percent cotton. Machine wash cold, tumble dry low. Made in the U.S.A. and Imported. Measurements: Length: 23 1 2 in Product measurements were taken using size XL (Big Kids). Please note that measurements may vary by size. Roughing it in style! 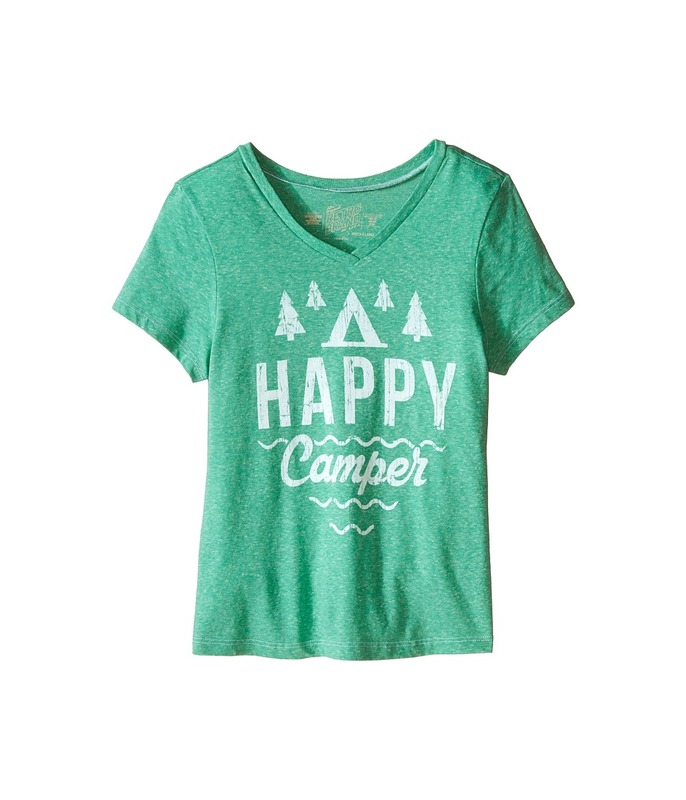 Incredibly soft cotton tee tee flaunts a Happy Camper graphic at front. Relaxed fit. V-neckline. Short sleeve construction. Printed neck tag for added comfort. Pullover design. Straight hemline. 100 percent cotton. Machine wash cold, tumble dry low. Made in the U.S.A. and Imported. Measurements: Length: 21 1 2 in Product measurements were taken using size XL (Big Kids). Please note that measurements may vary by size. Live the life you love and love the life you live! 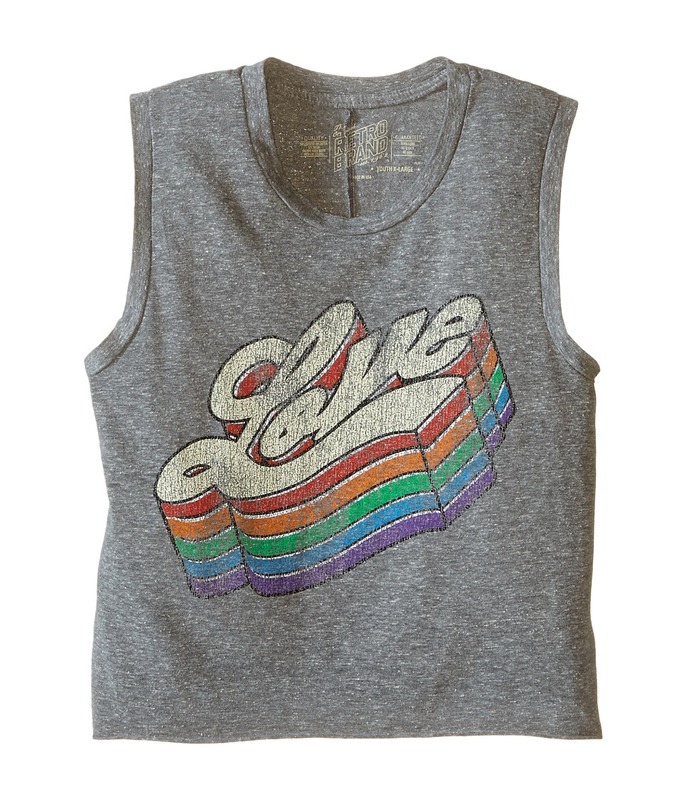 Girls~ ultra soft tri-blend muscle tank features a streaky Love graphic at front. Relaxed fit. Crew neckline. Sleeveless construction. Printed neck tag for added comfort. Pullover design. Straight hemline. 50 percent polyester, 38 percent cotton, 12 percent rayon. Machine wash cold, tumble dry low. Imported. Measurements: Length: 18 1 2 in Product measurements were taken using size XL Big Kids. Please note that measurements may vary by size. Cool tees to chill out in. 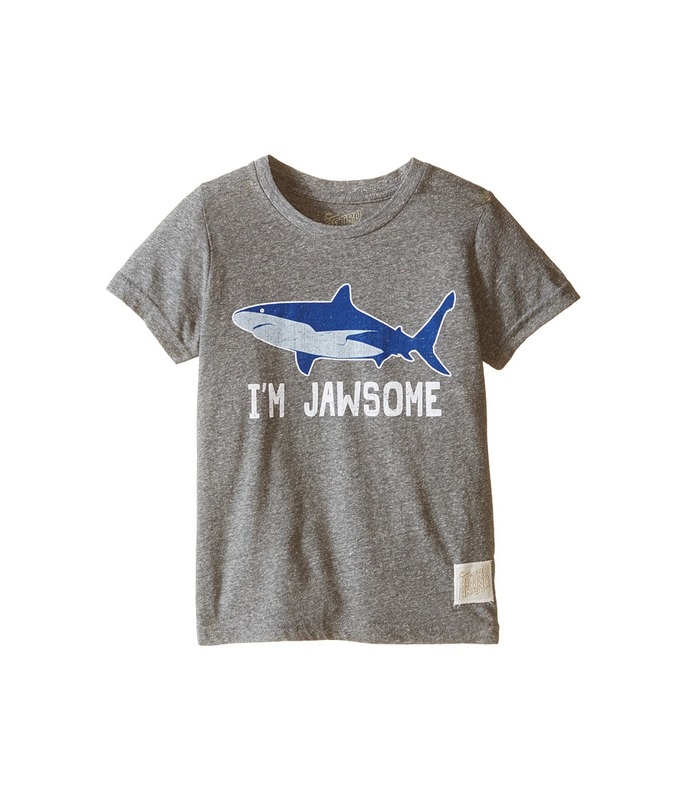 Boys~ short-sleeve t-shirt in a super soft jersey-knit. Vintage graphic on front. Ribbed crew neckline. Pullover design. Straight hemline. 50 percent polyester, 50 percent cotton. Machine wash cold, tumble dry low. Made in the U.S.A. and Imported. Measurements: Length: 25 in Product measurements were taken using size XL Big Kids. Please note that measurements may vary by size. A donut a day keeps the doctor away...or something like that. A slim-fit tee crafted from a super soft tri-blend fabrication. 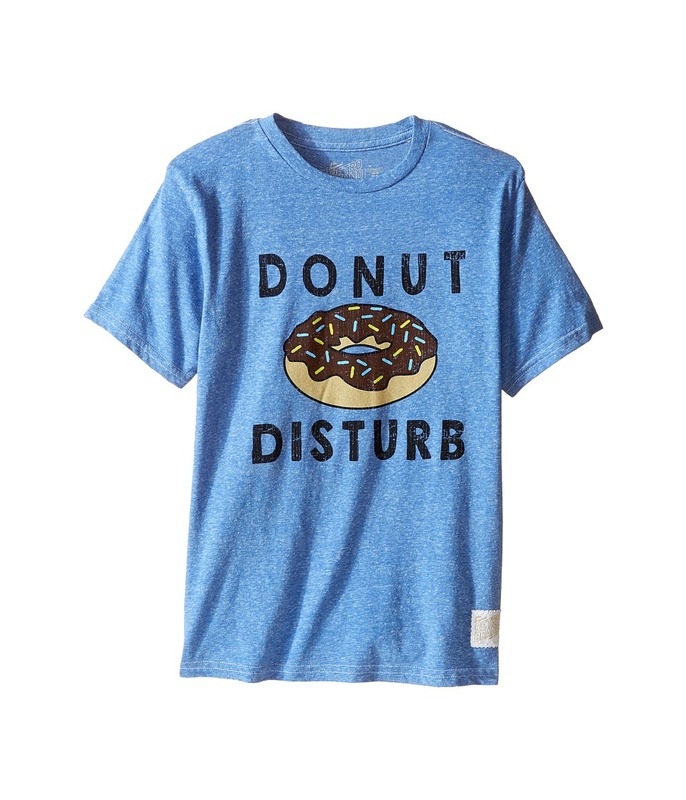 A super fun Donut Disturb graphic adorns the front. Ribbed crew neckline. Short sleeves. Brand patch at left hem. Straight hemline. 50 percent polyester, 38 percent cotton, 12 percent rayon. Machine wash cold, tumble dry low. Made in the U.S.A. and Imported. Measurements: Length: 25 in Product measurements were taken using size XL (Big Kids). Please note that measurements may vary by size. 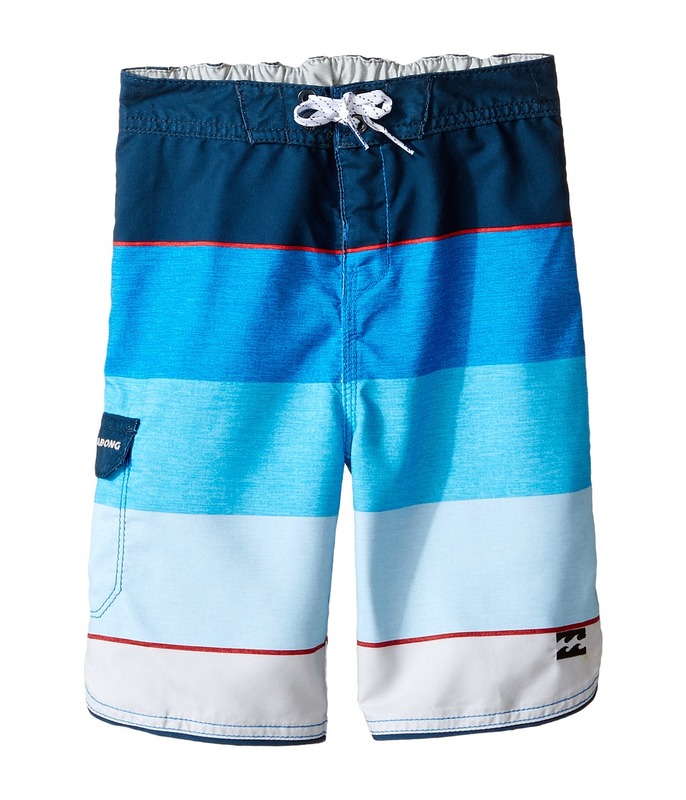 A retro design with modern tech makes these boardshorts a must have for any young grommet! Micro Repel&amp#8226 Coats fabric to eliminate saturation repels water, keeping the boardshorts dryer and lighter, longer. Fitted waistbands with faux drawcords. Welt pocket in back on the right with flap closure. Scalloped cuffs. All over stripe pattern. Brand logo at left hem and on the pocket in back. 100 percent polyester. Machine wash, tumble dry. Imported. Measurements: Waist Measurement: 22 in Outseam: 16 1 2 in Inseam: 7 in Front Rise: 8 in Back Rise: 11 in Leg Opening: 16 in Product measurements were taken using size XL (7 Little Kids). Please note that measurements may vary by size. If you~re not fully satisfied with your purchase, you are welcome to return any unworn and unwashed items with tags intact and original packaging included. You can be anything you want to be, but you should always be a unicorn. 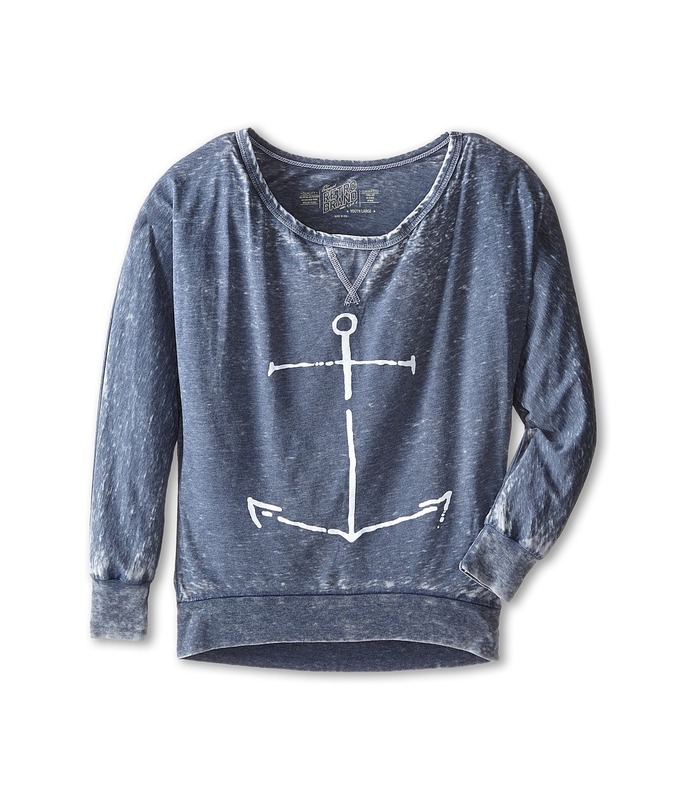 Girls~ pullover crafted from a comfortable tri-blend fabrication. 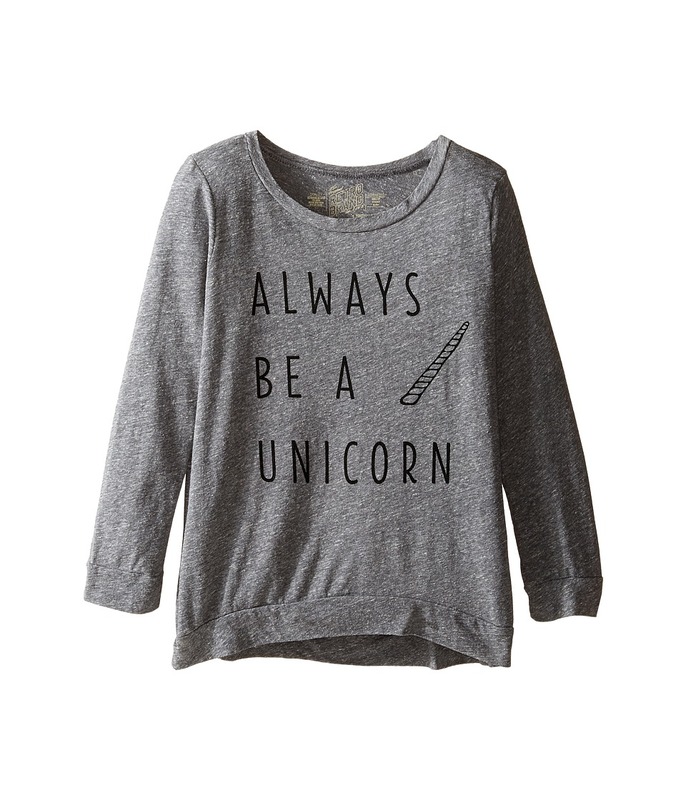 Always be a unicorn graphic adorns the front. Swing silhouette. Round neckline. Three-quarter sleeve construction. Banded high-low hemline. 50 percent polyester, 38 percent cotton, 12 percent rayon. Machine wash cold, tumble dry low. Made in the U.S.A. and Imported. Measurements: Length: 22 in Product measurements were taken using size LG Big Kids. Please note that measurements may vary by size. 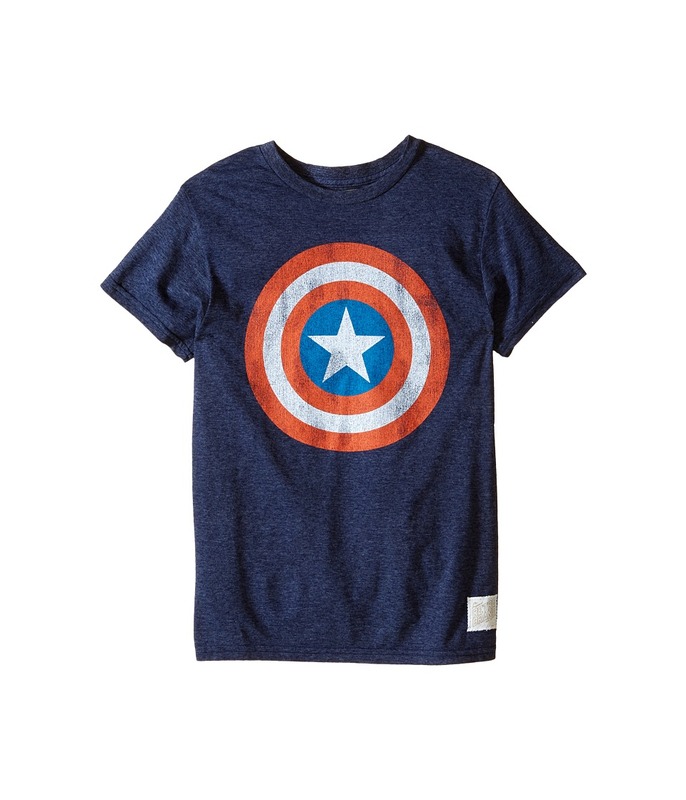 A cool tee for a cool kid! Boys~ T-shirt in a supersoft, heathered tri-blend jersey knit. A fun graphic adorns the front. Ribbed crew neck. Short sleeve construction. Printed neck tag for added comfort. Straight hem. Woven logo patch at the left hip. 50 percent polyester, 38 percent cotton, 12 percent rayon. Machine wash cold, tumble dry low. Made in the U.S.A. and Imported. Measurements: Length: 22 1 2 in Product measurements were taken using size LG Big Kids. Please note that measurements may vary by size. Hello weekend! 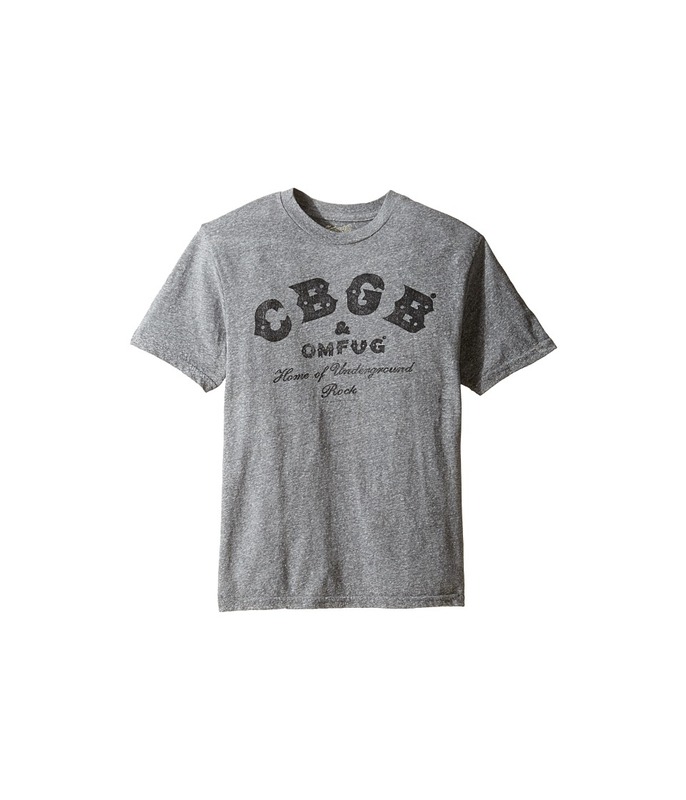 A premium cotton tee with an incredibly soft hand feel. Slim fit. 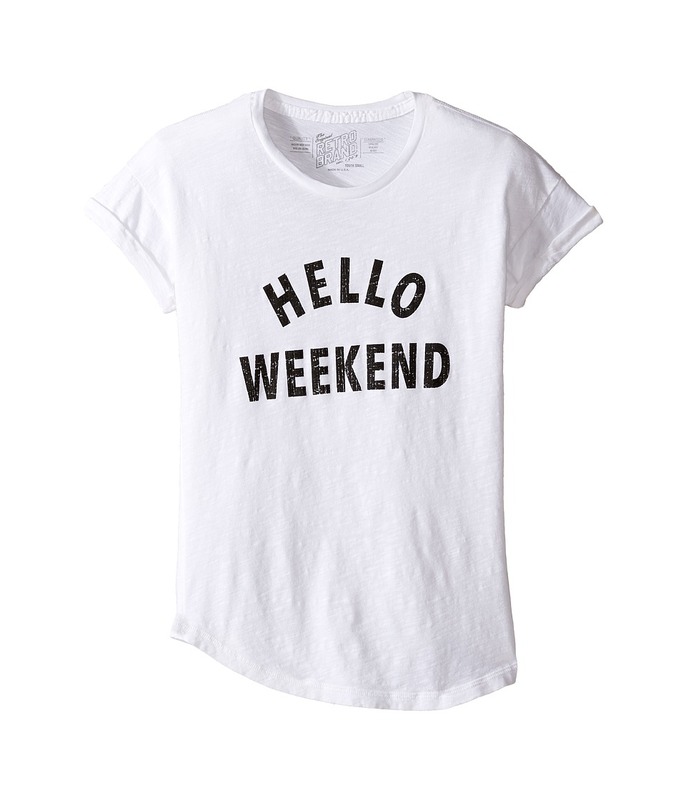 Hello Weekend graphic at front. Crew neckline. Short sleeves construction. Pullover design. Print neck tag for added comfort. Curved hemline. 100 percent cotton. Machine wash cold, tumble dry low. Made in the U.S.A. and Imported. Measurements: Length: 23 in Product measurements were taken using size SM Big Kids. Please note that measurements may vary by size.